Make sure if you come up with the next big cold brew drink to @RedThreadGood on Instagram, Facebook and/or Twitter to be featured in our Brew Blog. Or slide in our DMs, we don't take offense and promise you'll get a reply. 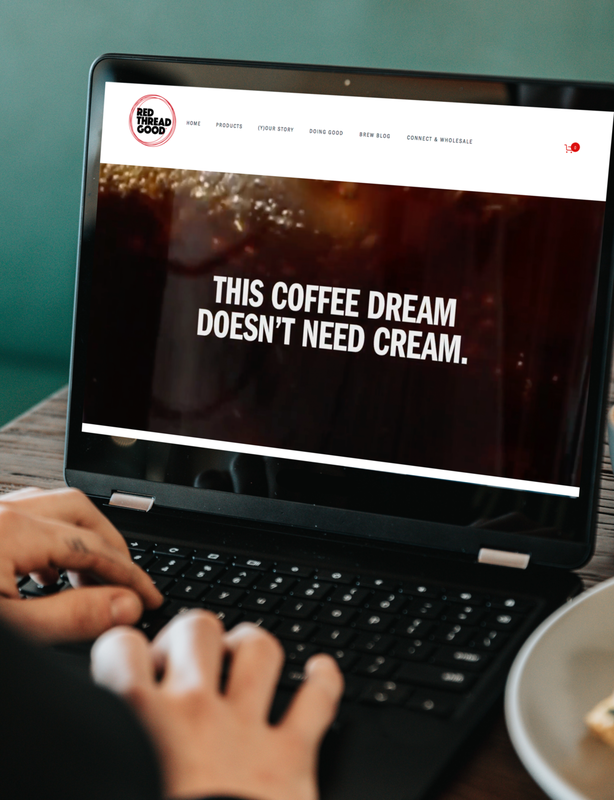 To strike up a conversation about selling our coffee products or supplying your office, please send an email to our wholesale experts at wholesale@redthreadgood.com. Our exceptional cold brewed coffee concentrate not only tastes smoother and less acid than traditionally brewed coffee—it’s the next generation single serve: you can make coffee one glass, or one cup, at a time! No equipment. No waste. No mess. Less labor. Toss out your coffee equipment, save space and electricity, and let Red Thread Good do the work for you. Just add cold water and serve over ice for iced coffee. Or add boiling water or hot milk to make a steaming cup of hot coffee. Make it when you need it, and put it back in the fridge til you need it again. Our unique blends and single origins are available in small batch cold brew concentrate, ready-to-drink 10 oz. bottles and in beans. In the office, we provide a healthy alternative to the jolt from an energy drink or a diet soda; and it also tastes better!